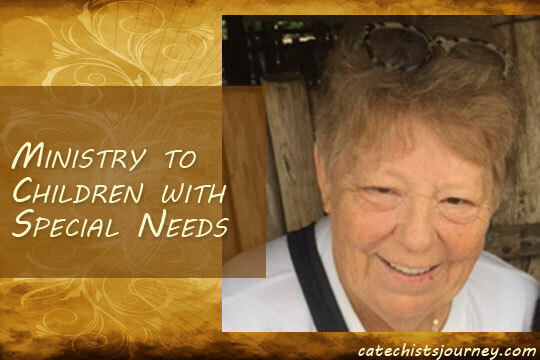 Certainly, everyone in catechetical ministry understands that all students—including those with special needs—are called to witness the Gospel. Every parish has children whose needs may not be adequately met in the typical classroom approach to faith formation, and my parish is no different. For more than a decade, our Shepherd’s Flock program has been ministering to students with learning challenges. Some are on the autism spectrum; others have Down syndrome or other genetic disorders. 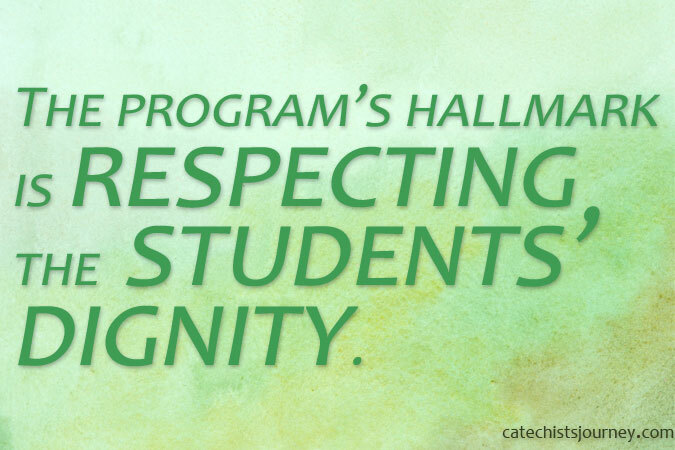 The program’s hallmark is respecting the students’ dignity, ensuring students understand that they are like each of us: uniquely formed and loved by God. One of the keys to Shepherd’s Flock’s success is that we meet the children where they are. Catechists work with parents to lay out individual goals for each student at the beginning of the year. Within these parameters, catechists and helpers work one-on-one or in small groups with students on a particular aspect of the curriculum. 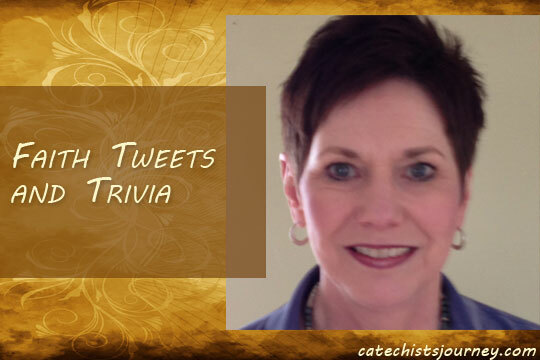 For instance, if a student comes in saying a prayer or singing part of a song from Mass that day, catechists may gently steer the child to a lesson about the liturgy, because they know that in that moment, that’s where the student’s heart is. Each Sunday morning, volunteer catechists create a physical environment that is safe for children who move around quite a bit and who may be sensitive to noise, lighting, or even too many decorations. They interact with children on their level with a variety of materials that connect to the individual’s learning style. While the class has routines, it is not a scripted, traditional, age-level lesson plan. We use the Loyola Press curriculum designed for children with special needs, the Adaptive Finding God program, with great success. It is supplemented by a whole host of resources. Soft objects like the Jesus the Teacher Plush Figure provide a comforting way to tell the story of God’s great love. One of our catechists created a priest doll, Fr. Ignatius, to use in class. She bought the doll and made some simple vestments. Sometimes Fr. Ignatius is a way to teach the students about the role of the priest, and sometimes he is repurposed as a figure in a Bible story with Jesus. The message Shepherd’s Flock sends to the students is “Yes, you can!” Our daughter takes great pride in her participation in the liturgy. She has learned to be reverent while learning and has experienced God in a way that is meaningful to her. The catechists have adapted to the students, so that the students don’t have to conform to cookie-cutter expectations of what an RE student should look like. Shepherd’s Flock has become so much more than Sunday school. It is a lively and flourishing community. It is an essential, life-giving part of our parish and one that helps us live out our mission to share God’s love with the world. Consider the space carefully. A dedicated room is a nice luxury if your parish can spare it. If your class meets in a multipurpose room, catechists should plan extra time to adapt the room to the needs of the learners each week and to restore it after the class. Enlist the parents’ help with this. Recruit catechists with a background in teaching (whether they have experience in special education or not), and then enlist the assistance of extra helpers as well. Be vigilant—not all volunteers may be prepared to deal with the behavior or challenges of some of the students. Establish a routine and set expectations, but be prepared for those days when the routine is disrupted—a parish activity, a fire drill, etc. Children in adaptive programs will find these interruptions jarring and may take longer to refocus afterward. Incorporate a variety of resources for different learning styles and abilities. Make use of the resources available on the Loyola Press website. Establish regular communication with parents from the outset. You need to know the child’s abilities, among many other things. Invite them to join you at the end for prayer (and then stay to help clean up). Integrate parents into the program. Provide gathering opportunities for families through a Mass or regular social event; a support group may grow naturally.